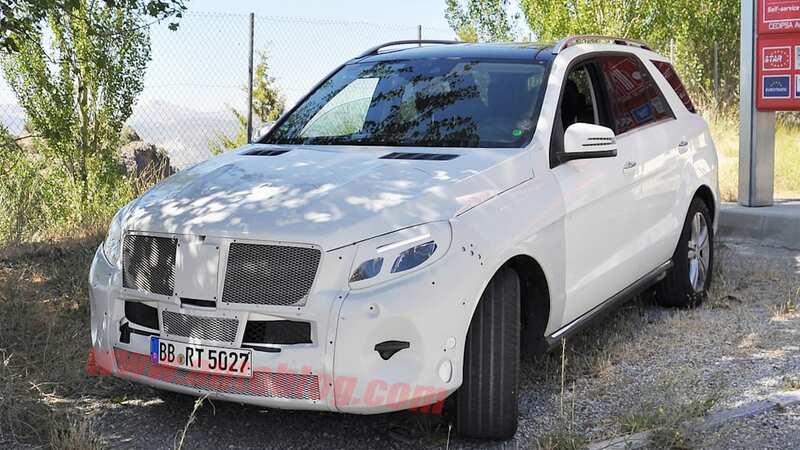 Following a spate of images in early April, Mercedes has removed some of the camouflage on the facelifted M-Class SUV in preparation for its eventual debut, probably at the 2014 Paris Motor Show. Gone is the swirly, psychedelic camo that featured so heavily on our last round of photos. In its place sits simple, unpatterned vinyl, which is limited to the front and rear of the mid-level luxury SUV. 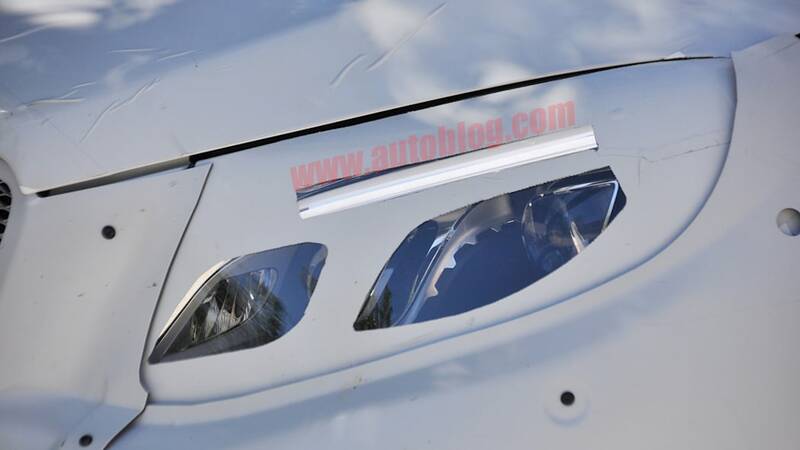 The vinyl looks to be hiding new headlights, which appear to borrow inspiration from the new S-Class and C-Class. 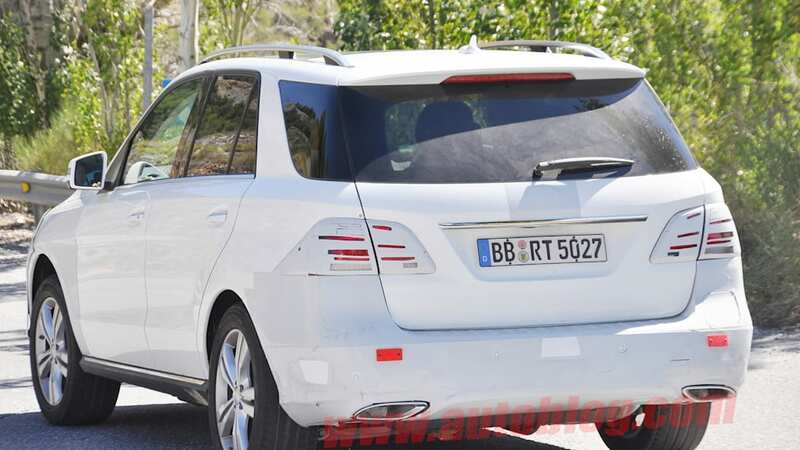 Unlike the previous example we spotted, this new model has its taillights concealed, indicating there could be minor changes in store. 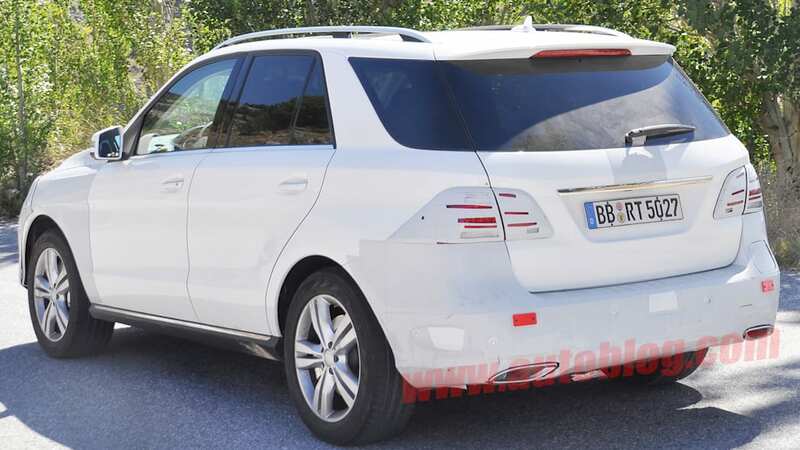 The rear bumper is also slightly different, with more visible exhaust outlets, indicating that this could be the ML550 that we're seeing. 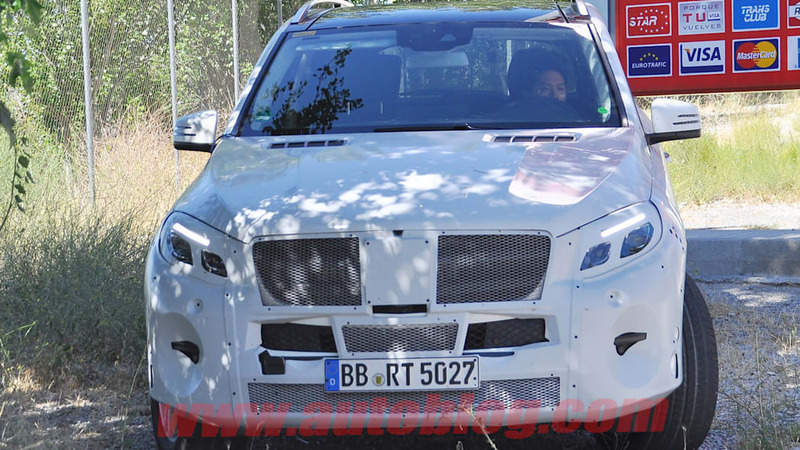 There remains a fair amount of camouflage over the front grille and lower intakes, through which we can spot a tweaked grille, which should, again, borrow inspiration from the brand's newer sedans. 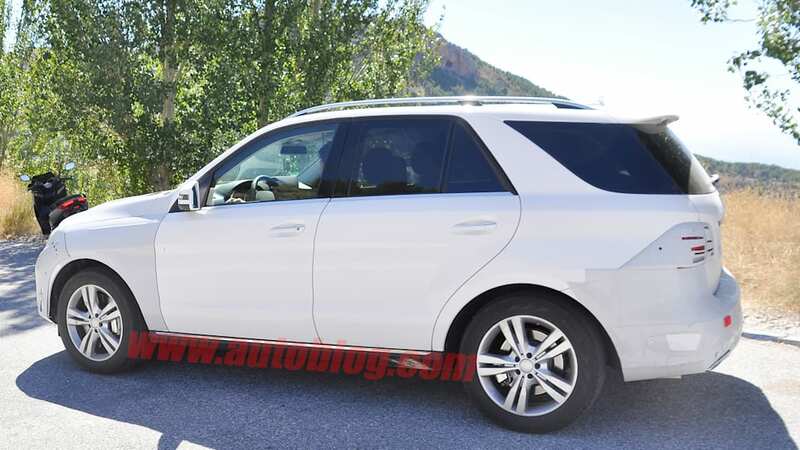 We'll keep our eyes open for additional info and images of the facelifted Mercedes M-Class as its debut date continues to approach.